Would you like to customize Envira Gallery lightbox close button? 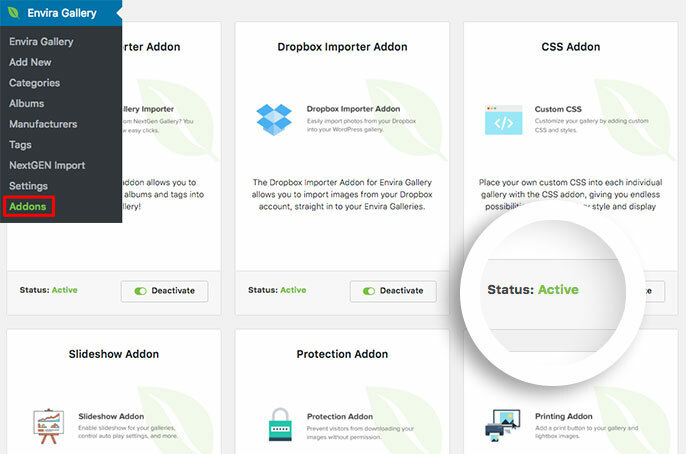 Envira is easily customizable to meet your needs with just a little CSS. This documentation will help you with the CSS needed to replace the default background image with your own. Why isn’t the CSS working for me? Can I use a font-based icon instead? Your first step is to create a new gallery or edit an existing one. You can follow along with our documentation for creating your first gallery. If you’re using the CSS Addon to only change 1 gallery, add your CSS to the Misc tab inside the Custom Gallery CSS box. Once you’ve added your CSS just click Publish or Update to save the changes to the gallery. Be sure to change http://example.com/images/close-button.png to the URL of the close button you wish to replace the default one with in the example below. Depending on the size of the image you choose, you may need to adjust the CSS slightly to accommodate. Check out our demo of this in action! And that’s it! There’s loads you can do with a little CSS and Envira! 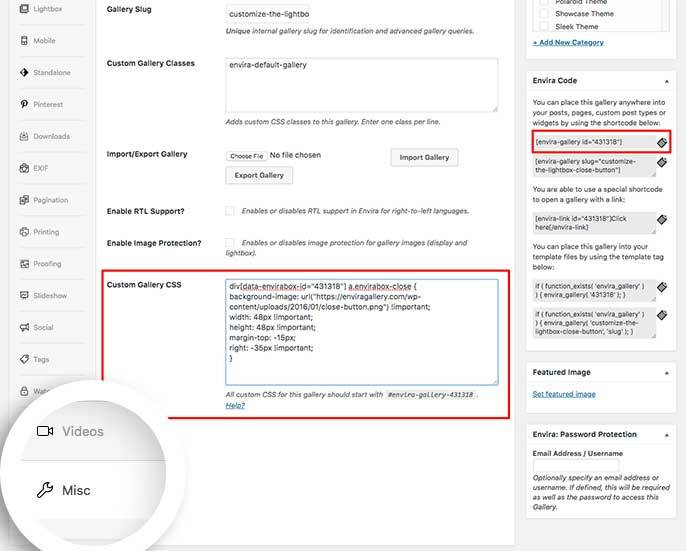 Check out our article on How to use CSS for Envira for a 1 column layout Mobile. A: The Base (Dark) and Base (Light) lightbox themes use a font-based icon instead. Since there are no images, this CSS is not relevant.